The basic needs of the people are enormous and are increased by calamities such as drought and epidemics. At present, the single most important task facing KARUDEC is making clean water accessible in the district. No homes have indoor plumbing. 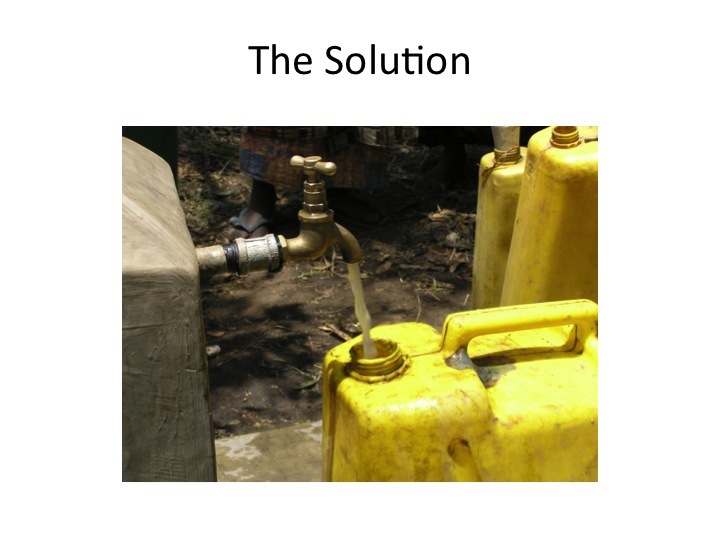 Imagine the time and effort consumed in obtaining water, frequently contaminated, and in quantities far below that considered minimal by the World Health Standard of 35 litres per person per day. 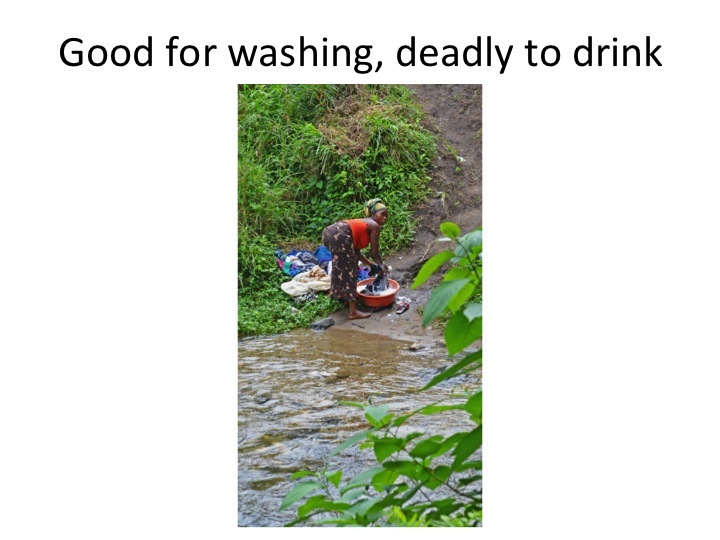 The average in Kasese District is 10 litres a day. The amount is equivalent to flushing a western toilet 1.5 times. 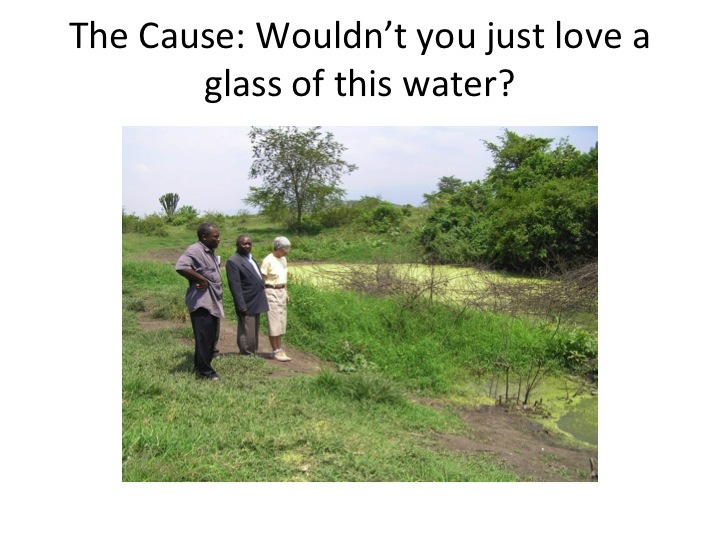 The walking distance to obtain clean water is often several miles . And, the amount obtained is only equal to what an adult or child can carry (one gallon weighs approximately 8 lbs). 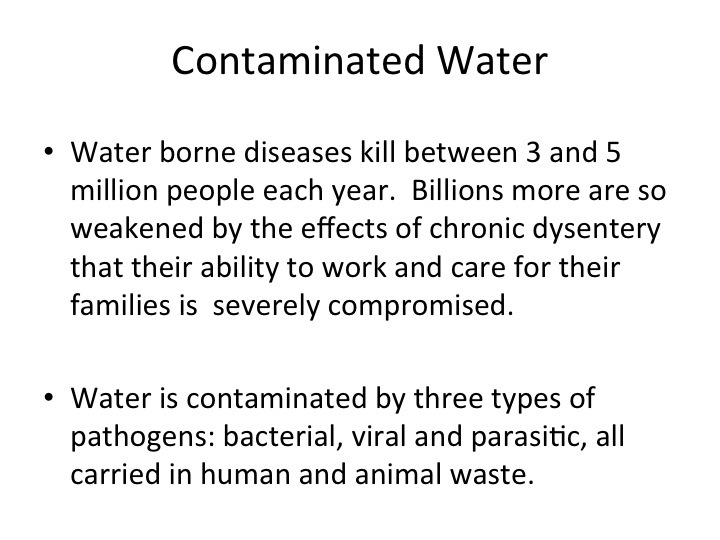 It is no wonder that many families rely on contaminated streams near their homes. 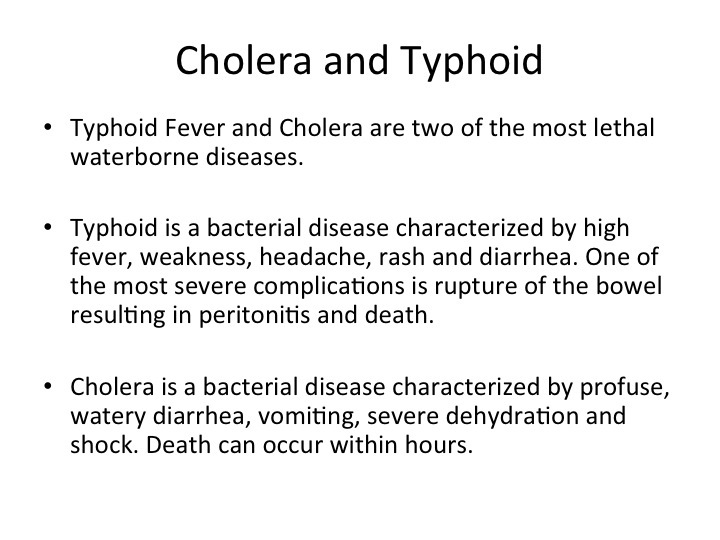 As a result, water-related diseases such as diarrhea, infestation with worms and other parasites, cholera and typhoid fever are common. 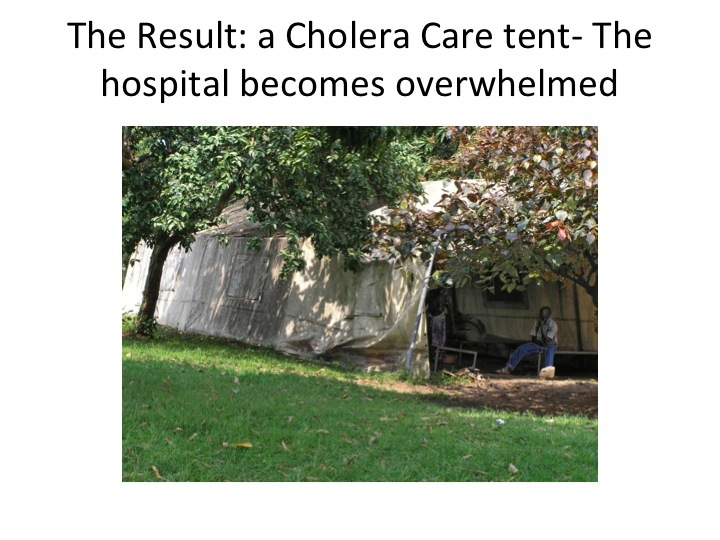 These diseases flourish even more as a result of inadequate sanitary facilities. Less than a third of the households have latrines. There is adequate water in mountain springs and streams and aquifers in the valleys. 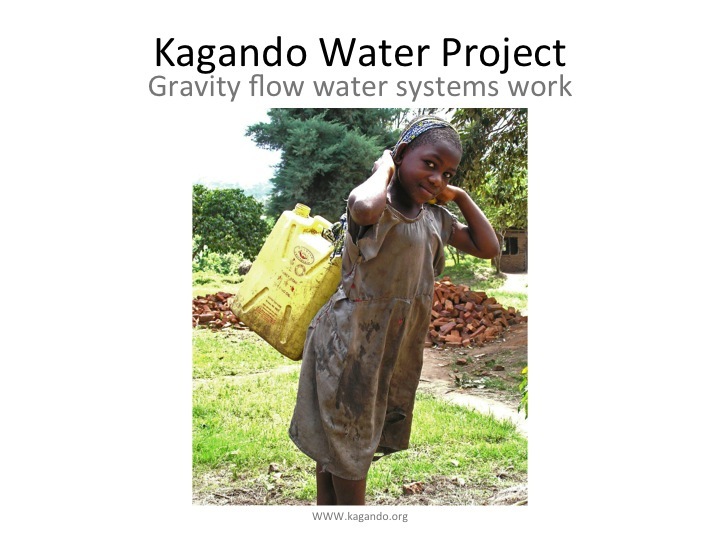 Funds are urgently needed to bring the water to the people. KARUDEC's objective is to pipe water from these sources to a single, sanitary outlet within 1/2 kilometer of the households it serves.